Are you still looking for the wholesale jewelry from place to place? Why not go to the yiwu market which will never let you down. Because there are all kinds of products and you can find what you want here. Wholesale jewelry attracts the customers with the high quality and newly designs as well as the good prices. You can find most of the wholesale jewelry in the yiwu international trade city district1 on the second floor. And you can find the fittings on the third and forth floor. And on the opposite of the international trade city there is the jewelry street. Some suppliers have shops inside the international city always just showrooms and they have much bigger shops outside. The last but not the least, you need a Yiwu agent to arrange all the things for you and not to get lose in the sea of commodity and find what you want more efficiently. 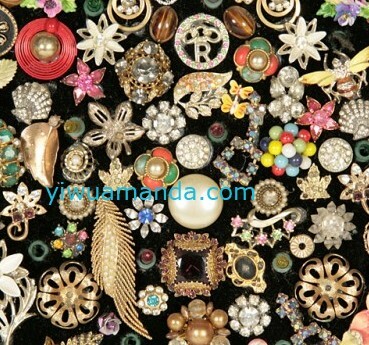 If you need more information about wholesale jewelry，please contact us immediately, we can offer you the best service.